Take a day trip to one of the other islands and discover what they have to offer. 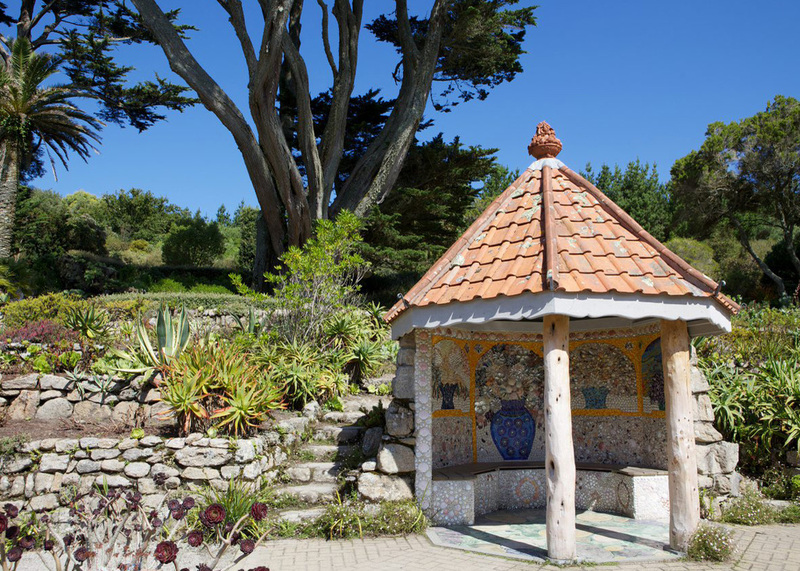 From the rugged landscape of St. Agnes to the renowned exotic Tresco Abbey Gardens there's something for everyone. 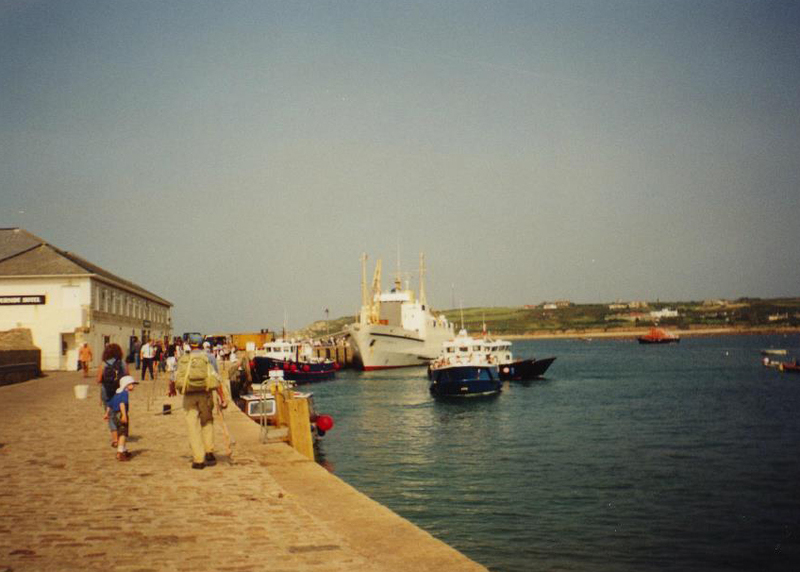 St. Mary's is the largest of the Isles of Scilly and is where you will first arrive on Scilly. It is the hub of the islands with a vibrant town full of shops, cafes, pubs and restaurants. St. Mary's is a varied island steeped in history and if you take a walk out of town through the 'tunnel' in the ancient walls of Sally Port you will find yourself at the Star Castle Hotel where you can continue round the battlements of the Garrison with its long walls and cannons. There are plenty of beautiful walks so make sure you take yourself off the beaten track. 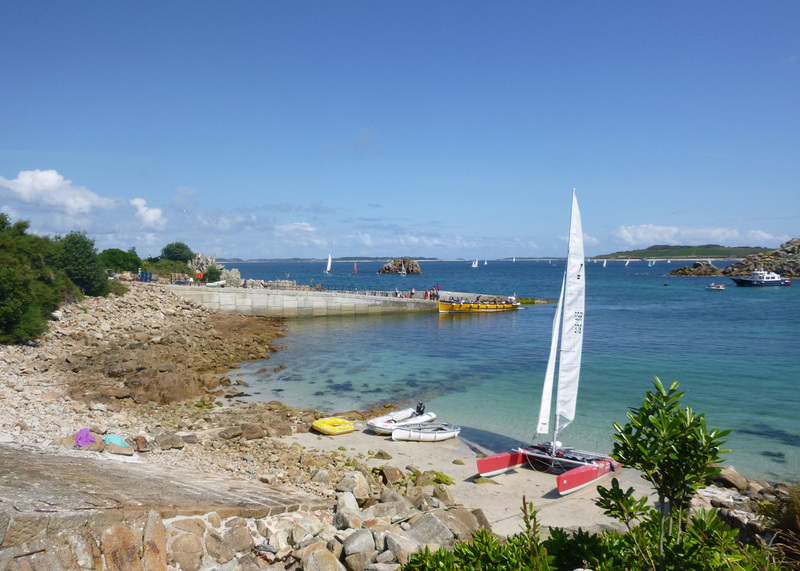 For those looking for something a little different there are many studios and galleries to visit, a museum, bike hire, horse riding, a trip on a glass bottom boat and the island's only golf course! Tresco is privately owned by the Dorrien-Smith family and is best known for its beautiful sub tropical Abbey Gardens and long sweeping white sandy beaches. It is a beautiful and well ordered island with many lovely walks and hidden swings and dens for the young at heart! Take a trip to Tresco Stores & Deli and stock up on a posh picnic or have a well deserved stop off at the infamous New Inn, Flying Boat Club or the Ruin Beach Cafe. 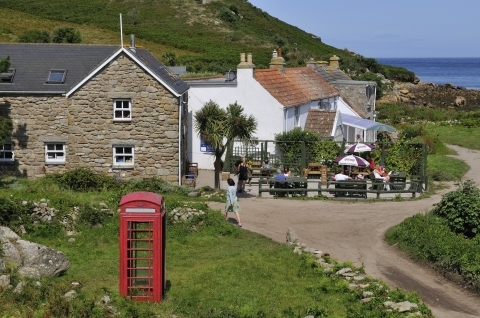 Bryher is the smallest inhabited island in the Isles of Scilly. It's famous for the spectacular Hell Bay with it's pounding waves crashing over the rocks on the western side of the island. It has a well stocked shop and modern art gallery as well as being home to the famous Bryher Fudge from Veronica Farm and the artist Richard Pearce. After taking in the sights of the varied and beautiful landscape, The Hell Bay Hotel, Fraggle Rock Bar & Cafe and the Vine Cafe are great places to stop for a tasty lunch and a refreshing drink. If you prefer to be on the water, Bennett Boat Yard hire out the perfect vessel to take to the seas! St. Agnes is the most isolated island in the Isles of Scilly. Situated beyond St. Mary's out towards the Western Rocks it has some spectacular coastlines and interesting walks. It is a highly industrious island with many small businesses such as Troytown Farm Ice cream and 28 Miles soaps and toiletries. At low tide you can take a walk over to the tiny island of Gugh (with only two houses) via a sandy causeway. Take a walk to see the mazes and Nag's Head rock and maybe go hunting for beads from an ancient shipwreck at Beady Pool. The Isles of Scilly Seabird Recovery Project have been working hard to promote the safe breeding of Scilly's birds and this has been very successful on St. Agnes. Quench your thirst and enjoy a delicious meal at the Turk's Head pub or one of several cafes on the island. If you fancy an evening trip we can highly recommend dining at the High Tide Seafood Restaurant.